Winters Shakespeare Workshop has been awarded a Local Impact grant of $4275 from the California Arts Council. The grant funds will support a summer theater program for children ages 7-11 and after-school drama clubs at four Winters school sites. Winters Shakespeare Workshop, a program of Winters Friends of the Library, is the only organization in Yolo County to receive a Local Impact grant in 2015. 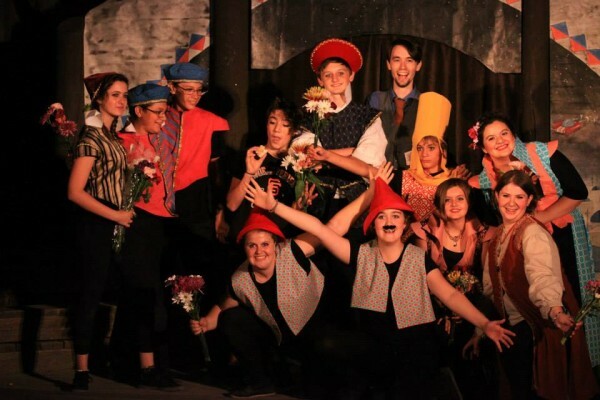 For 17 years, Winters Shakespeare Workshop has sponsored a summer theater camp for teens—five weeks of training in all aspects of theatrical production culminating in two free public performances of a Shakespeare comedy. How will the grant funds be used? The grant funds will be used to expand the program to include theater experiences for younger children participating in the City of Winters’ Munchkins Summer Camp and after-school drama clubs at four Winters school sites, led by Winters Shakespeare Workshop alumni. Winters Friends of the Library is a volunteer support group whose purpose is to promote literacy, foster a love of reading, enhance the cultural life of the community, and encourage involvement in the library and its programs. Learn more at wfol.org. Thank you Diane Cary for this article.